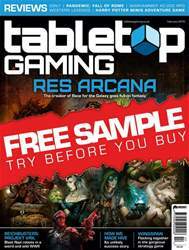 Fallout: Wasteland Warfare is just one of two adaptations of the smash hit video game series to arrive on the tabletop recently, following the self-titled adventurestyle board game from Fantasy Flight. This miniatures skirmish game, Wasteland Warfare, is the creation of Modiphius – a publisher that is no stranger to top quality licensed tie-ins. 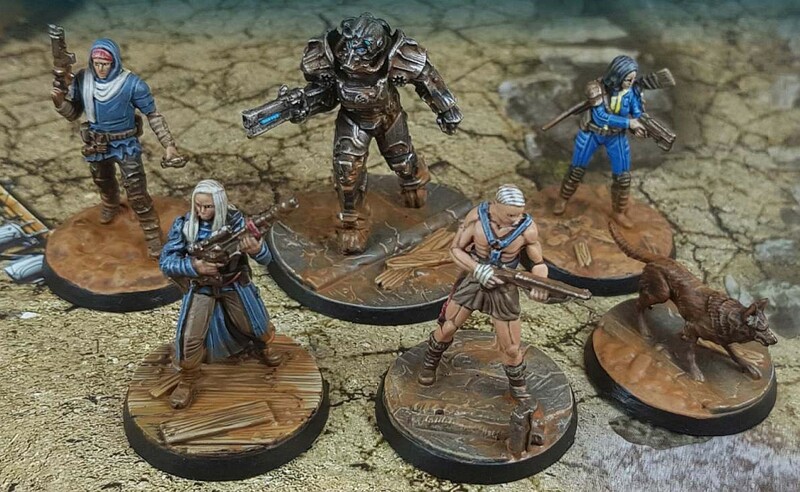 We explored its line of miniatures for the Star Trek roleplaying game last year and found an impressive range of models that gloriously captured the spirit of the sci-fi franchise. While the Fallout range is similarly faithful to its source material, it’s inevitably let down by the main difference between these products: the material they are produced from. The Star Trek miniatures were cast in resin, providing an exceptional level of detail. The Fallout miniatures are hardened PVC, so the detail is lacking definition – we’re looking at you, faces. This can make painting them a little trickier, as you have to use the paint to define the texture, such as on the fur on canine companion Dogmeat. flat said, it’s not a completely fair comparison; the Wasteland Warfare miniatures are far cheaper and arrive ready to use out of the box. No construction, no basing; just slap on an undercoat and get painting (or gaming).